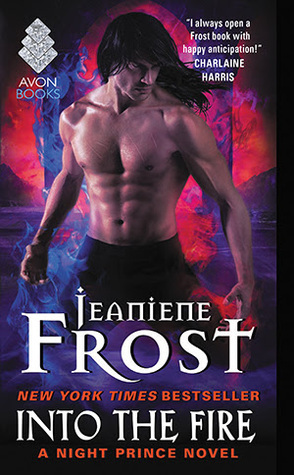 They enter the world of magic – of powers and abilities that may even outstrip Vlad’s terrifying fire. One thing I like about this book is how it deals with some extremely powerful characters. I’ve seen many book series that have run into serious problems because they’ve allowed their characters to have such an immense power creep. Instead we have enemies using lots of cunning, hiding from Vlad’s direct powers, not allowing direct confrontation. The tension and frustration of these mighty characters trying to bring their powers to bear but being unable to actually really works. And it works that the ending becomes an anti-climax because of that – because cat and mouse can be wonderfully tense but when the cat actually finds the mouse? It’s short – and that’s ok. They set up a good dynamic besides that. On top of that I like how Vlad’s arrogance is often a problem, he charges in expects everyone to cower in front of him and is generally absolutely terrible at any kind of investigation. Intimidation, death and power are his skill sets and none are applicable here. The action scenes are interestingly well done, the tension and worry and the prices they have to pay are all well laid out. I am tired by Vlad’s eternal “protectiveness” of Leila but she does resist that nicely. If ineffectually. I like how we get more of an insight into magic in this book. I wouldn’t say it actually added to the world building of this series in any great detail – instead I’ll say that it hinted a lot as to what could be possible and the power and forces that are out there. It laid the groundwork for Leila to become more of a power and laid out the possibility that there are forces out there that Vlad may have to respect. Similarly this grand epic romance that has Vlad quite willing to sacrifice anything for Leila? It’s terrifying, it’s creepy and it’s never really exposed as much except, maybe, round the edges, as sad because of the people Vlad is forced to kill to protect her. And by “forced to kill” I mean willing to sacrifice. There’s a whole sense that Vlad is terrifyingly ruthless willing to kill friends and allies and literally destabilise all of society. As I’ve said before, I’m not against Vlad being this ruthless force – because he is. But no-one is challenging it, and the book presents this not as a character flaw of Vlad’s but as a proof of his romantic dedication. It’s not an obstacle others need to work round or something they consider troublesome or vexing. It’s not even presented as particularly negative. Well in this book we learn that Leila’s power comes from her Cherokee heritage. No, really. After expressly calling out and subverting the idea that Leila has magic because of Cherokee woo-woo this series does a complete 180 and decides, actually, all of her special power comes from Cherokee woo-woo. I don’t even have the words to describe the weirdness of raising this trope, openly challenging it as wrong then deciding “hey let’s run with it anyway!” Especially since this is the only time her Cherokee heritage is actually relevant to the character or even mentioned (the entire first book doesn’t mention it at all). They visit a Cherokee reservation, but it’s entirely to look up some woo-woo. We meet a new Cherokee character Leotie and all she does is provide woo-woo. She makes a point about how Leila has only come to take something and shown no actual interest in her heritage or people or practices or history – all of which would be great points. If she then didn’t hand over the useful woo-woo and just freaking vanish. Is this pointing out tropes then embodying them becoming a thing? Please include Native American characters, definitely. But not just as a source of woo-woo, not just as magical batteries and not just as mystical others. We have a Black character who has kind of hung around being a parental figure for Leila… but I still think Sam deserves some actual development (and a better fate than this book). He’s a mentor and the problem with a lot of POC mentors is it means “lots of emotional support” but little actual reciprocity. He started the books as a father figure and just kind of follows her around since then. We do have Mencheres, an ancient Egyptian vampire of vast power. He’s one of the few characters who Vlad seems to genuinely respect and he has powers that outstrip everyone’s. He doesn’t have much role beyond helping Vlad but at the same time I understand he had his own book series and is basically visiting here.